Taco and Marg, name a better duo. The Taco Marg crawl is back. On Saturday April 27, we bring you three specialty tacos, three specialty margs and one awesome shirt. This shirt says You're the Taco to My Marg. 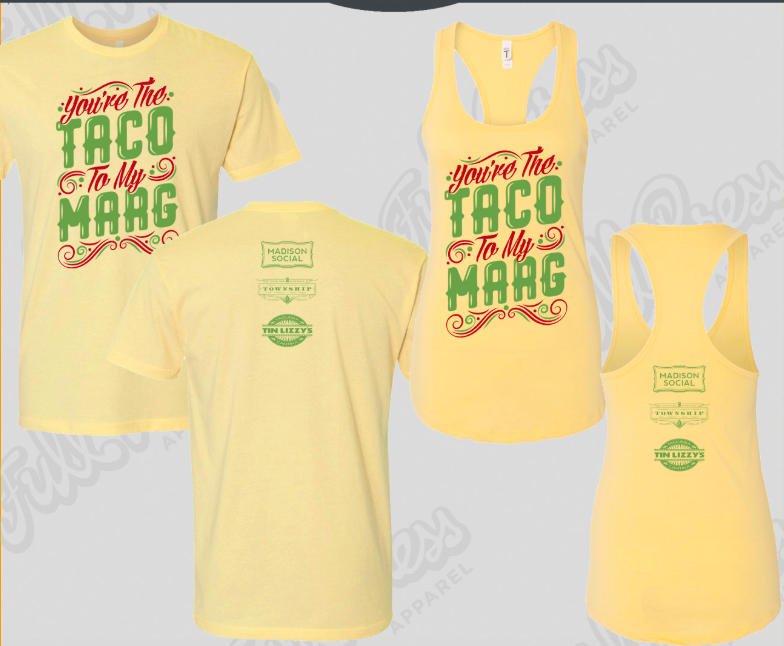 There is another version available that says "You're the Marg to My Taco" if you wanted to coordinate with someone else. Crawl check in will be at Tin Lizzy from 5pm - 8pm.